The Biggar Bonfire: We attended this event several times when we lived in Scotland and it is well worth braving the cold. The pipes, the bars, the flames, the smiling faces. What's not to love about this Hogmanay event. The Balls of Fire: We never made it to this one, but again you have the pipes, the crowds, and flames. Only this time they are swirling balls of fire, proceeding down the main road and into the harbor. There's a webcam and more on the site. So let's hope these and all the other end-of-year festivities around the world usher in a New Year that is brighter than the one that is ending. Here's to a great 2010 for all! And now for something completely different, on the road. 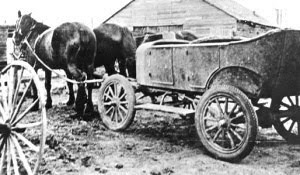 Back in the 1930s, during the Great Depression, the only economic crisis in the last 100 years that was worse than the one we're enduring today, a strange new form of road vehicle emerged for the first time: the horse-drawn automobile. In America they were dubbed Hoover carts or Hoover wagons, after Herbert Hoover, who was president when the depression hit and was widely criticized for not doing more to prevent or alleviate the suffering it brought. In Canada these vehicles were called Bennett Buggies after that country's Prime Minister Bennett who was in power from 1930 to 1935 (and of whom it has been said "his own wealth (often openly displayed) and impersonal style alienated many struggling Canadians"). Now imagine being shot forward in time from 1930 to 2010 and the first thing you see is a cart horse shackled to a Cadillac Escalade or GMC Hummer. Would you be surprised? Probably not. Such is the thinking behind the recent conceptual works of contemporary artist Jeremy Dean. Few automobiles capture the excesses of the first decade of the 21st century better than the Hummer and the Escalade. They are both the apotheosis of consumerism and the antithesis of sustainability. And the juice that keeps them going--petroleum--is liable to such violent price swings that we live our lives just one act of terrorism away from prices that most people could not afford. As an artist, Jeremy has always sought new ways to bring our reality into perspective. As a documentary filmmaker, Jeremy has spent a lot of time uncovering and studying images of the past. So when he encountered Hoover carts during research on a documentary, Jeremy couldn't shake the image and its potent symbolism. And while the world of today is clearly very different from the world of the 1930s, the realization that we have been pursuing a life-style we cannot afford to sustain is even more pressing today than it was 80 years ago. Jeremy has dubbed this project The Futurama of Cars. You can see more examples of the works here. And you can help Jeremy realize the Futurama of Cars: an actual 21st Century Hoover Cart that Jeremy plans to drive through New York in March, 2010. 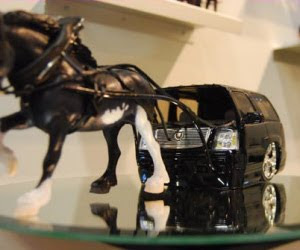 That's right, a working horse-drawn vehicle based on a Hummer or Escalade. 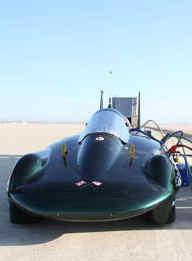 So heads up if you own one of these vehicles--Jeremy is accepting donations, and he doesn't mind if the motor is blown. And heads up any chop shops who want some free publicity for helping make this dramatic horsepower conversion. Indeed, anyone can help move this project forward by visiting the KickStarter web site. Check out the wild project video and consider making a pledge. There are all sorts of weird and wonderful rewards on offer for pledging, including Warranties, Registration, and Titles. I wanted to point out a great article in this month's edition of Sport Aviation, the EAA magazine. That would be EAA as in Experimental Aircraft Association. 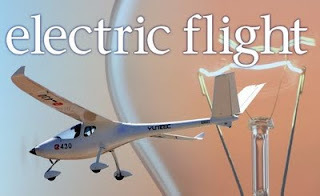 Simply titled "Electric Flight," this article is the first description that I have read of practical electric flight, not as a concept, but as a reality, with an objective test pilot at the controls. Taking off and landing on battery power. As for dependability, this may be the first plane I’ve tested that could fly nonstop, except for battery changes, for three days right out of the box (literally) with no squawks. Nobody told them they couldn’t build an airplane in three months, so they just did it. It’s refreshing to work with a team with no limits. They’re relentless. They’re ingenious. And they’re determined to make electric flight a reality. What makes this aircraft so seismic is not just the realization of practical, comfortable electric flight that can be mass produced--an enormous thing in itself--but also the fact that the team making it happen is from China. If anyone needed convincing that Chinese are serious competitors in both innovation as well as production, this is it. 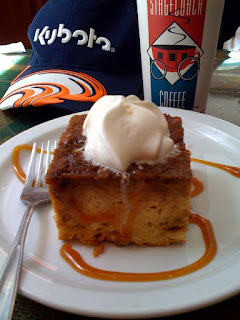 City Coffee Company, St. Augustine, FL: Written up in this blog post. Best coffee on the north side of town. Great bear claws and breakfast burritos. Free WiFi of course (a good thing because there is no 3G in St. Augustine at this point and the Edge signal is pretty weak on the north side of town. Stage Coach Coffee, Cooperstown, NY: I have tweeted this several times. Best decaff latté on the planet. And the most unusual signature French Toast. Seen in the iPhone snapshot on the left, this is "Vanilla Bean Crème Brûlée French Toast." Totally delicious and very filling. As served at the 2009 Baseball Hall of Fame induction ceremonies. Couldn't resist blogging this story as it shows progress towards commercial space travel has not been stopped by the recession. Not to get all philosophical and stuff but I think that leaving planet Earth is where evolution is headed. I'm not saying all Earthlings will relocate to another planet or planets, but some will. And of course, that could make Earth a more accommodating place for those who stay behind. At some point in the future there will be humans looking back, in time and space, saying "Yep, that whole Virgin Galactic thing was a turning point." Kind of like the VIC-20 or TRaSh 80. 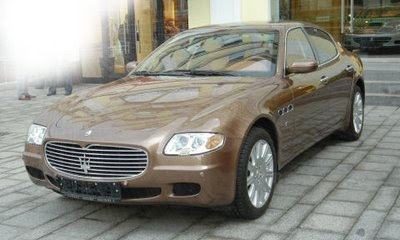 Both cars are very good looking, and both designs owe something to sport sedan styling pioneered by the Maserati Quattroporte, blending 4 doors into a swooping roof line. Both the Pamamera and the S have extensive sun roofs. Both have hatchbacks, made possible by the slope of the roof. 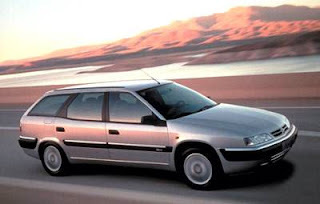 I am in no way suggesting that anyone is copying anyone here; if you want four doors and seating for four in a smooth shape with low drag coefficient then this is the shape. Porsche rounds the Panamera's rear in keeping with the Porsche "look" while Tesla's Franz von Holzhausenon takes a more carved, angular approach that has slight echoes of the Nissan Altima and recent BMW 3 series. Bear in mind that von Holzhausenon's remit here is to craft a look that gets the pulse racing yet appeals to a wide audience. 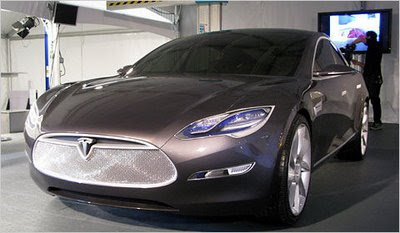 After all, the Tesla sedan spearheads the company's bid to take all-electric vehicles mainstream. 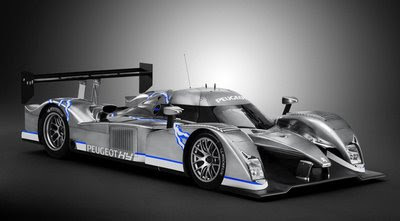 But under the skin the cars couldn't be more different. The Panamera runs on fossil fuel and requires a fuel tank. The Tesla takes its power from batteries built into the chassis. That allows the Tesla to have a huge trunk space. How big? It can accommodate a third row of seating! Pricing is also very different, roughly $60K for a Tesla versus $100K for a Porsche. But performance may be quite closely matched (hard to believe perhaps, until you experience the Tesla's neck-snapping acceleration off the line). As you may have heard--or if you're like me, had not heard--the U.S. government is considering several programs that offer people money for their old cars. There is already a program along these lines in California that pays you cash for turning in an old polluting car. Oddly enough, when I lived in California I passed off my old polluting car to the authorities by parking it illegally, repeatedly, because there was nowhere legal to park. Then I went out of town on business one time and found it gone when I returned. The city kept the vehicle in payment for the fines, which suited me fine. But apparently this cash-for-clunkers talk has upset some people, such as those who collect old cars and some car bloggers. 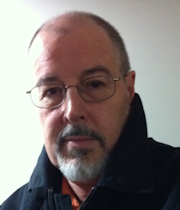 So now we have anti-C4C folks name calling people who have reported it fairly objectively, like John Voelcker at GreenCarReports.com. In a rare case of me admitting that I just don't know enough to render an authoritative opinion, I'm going to sit out the C4C debate. However, I will throw a question into the ring: What happens to the flow of used vehicles to Africa? I was told by a "used car industry insider" in Florida that a lot of used cars that don't fetch money at auction are shipped to Africa. I had assumed they went there to be fixed up and driven. But maybe they go to be buried. It wouldn't be the first time we have dumped our inconvenient waste in poor countries. Hopefully any C4C program the government executes will include an environmentally sound end-of-line process. Figured I would check out the new Google Trend gizmo which lets you chart search trends. You can adjust the terms and the time frame. I found that a one year view from the US perspective shows "hybrid" declined rapidly as fuel prices eased (or family budgets tightened). National Train Day: Saturday, May 9! That's right, May 9 is National Train Day in America. Amtrak gets high marks for the marketing campaign on this one. I really like the idea of getting people excited about train travel and several angles are being played in this one campaign. There is an appeal to "Trainiacs" but also to families and executive travelers. Anyway, check the site and you will find links ot all sorts of train-related events around the country this weekend. Thanks to Auto Blog Green for a huge gallery of product shots. 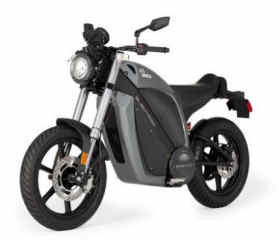 Smith Electric Vehicles U.S. Corporation plans to assemble all-electric zero-emission commercial vehicles in Kansas City with production of the first zero-emission commercial trucks scheduled to begin third quarter of 2009. SEV U.S. Corp will initially focus its production on battery-electric-powered vehicles for depot-based predictable-route delivery fleets. "We feel the greatest opportunity to have a major impact on the electric vehicle industry is through fleet operators who utilize commercial vehicles in a depot-based delivery model," said Bryan Hansel, chief executive officer SEV U.S. Corp.
"As more truck fleets adopt this technology, it will drive advancements in battery technology, drive down manufacturing costs, and form the foundation of a U.S.-based supply chain that, over time will also significantly reduce the cost of commercial electric vehicles. This will make them a natural choice for fleet managers with a depot-based delivery model." Apparently, Frito-Lay has already signed up to use these vans for local delivery of its snack foods and chips. What a great fit! Zero emissions to foul up city streets, plus the power requirement goes down as the truck progresses through the route and then heads back to the depot to charge overnight for the next day's deliveries. Just like the electric milk float I drove 40 years ago! "Peugeot is on to something since they put a 1.6-liter 110hp HDi diesel in the Peugeot 407, getting a relatively large car that burns just 4.9 l/100 km of diesel (equivalent to 48 mpg) and keeps CO2 emissions at a respectable 129 g/km." "The HDT motorcycle diesel engine is based on state-of-the-art high-speed automotive diesel engine technology, engineered into a complete power unit suitably sized and packaged for installation in a compact on/off road motorcycle." Power: 28 PS [21 kw] @ 5500 rev/min. Torque: 32lbft [44 Nm] @ 3000 rev/min. 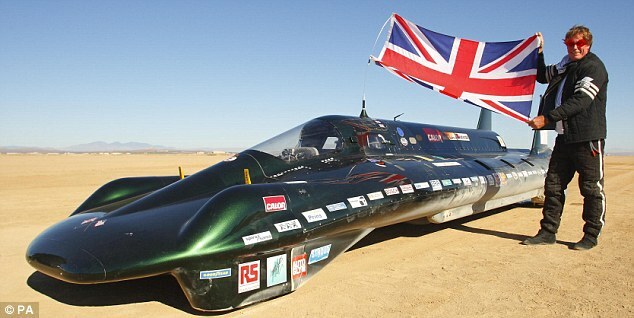 What eco-conscious family man or woman wouldn't want to be driving this? This pic appeared on the NY Times car blog. Shots like it will be heard around the automotive world. As many of us have said for so long now, eco-friendly doesn't have to be frumpy. Heck, family-friendly doesn't have to be frumpy. 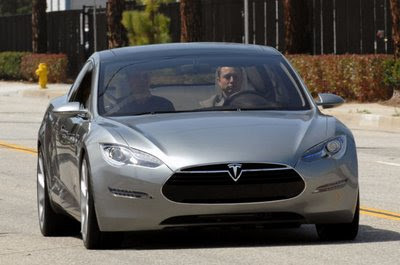 I mean, just compare this Tesla S design with what many people consider the epitome of 4-door car design, the Maserati Quattroporte. It's about line and proportion. It's about adding form to function. The fact that folks at Tesla get this proves geeky can be gorgeous, and that bodes well for the future of all electric vehicles. Leave boxy and square to the milk floats, where it makes perfect sense. For cars that move people, let the coachwork flow around the essential hardware and wetware. The natural result is a planet saving-ly low drag coefficient and looks that people will love. "The car has drawn comparisons to the Jaguar XF and the Maserati Quattroporte, and although von Holzhausen didn't cite those vehicles as influences, he welcomed the association. 'I hear Jaguar, Aston Martin, Alfa Romeo, and I think that's positive,' he said. 'People have positive associations with those brands, and I think that's a good reflection on Tesla. 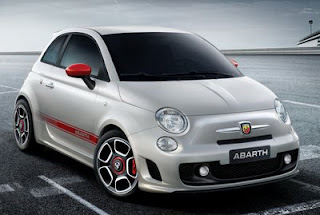 If they said it reminds them of the (Ford) Pinto or the (Pontiac) Aztek, we'd have problems.'"